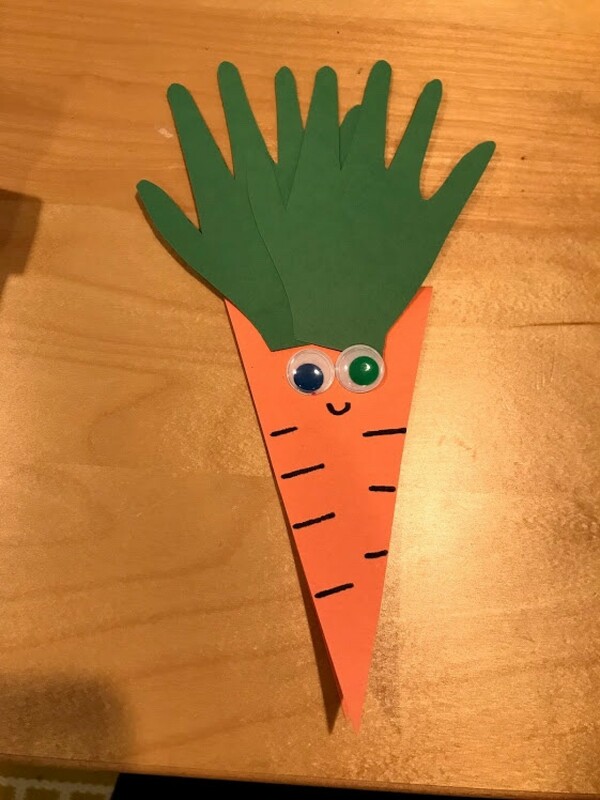 Tracing a child's hand can create a fun carrot tops for this cute card. 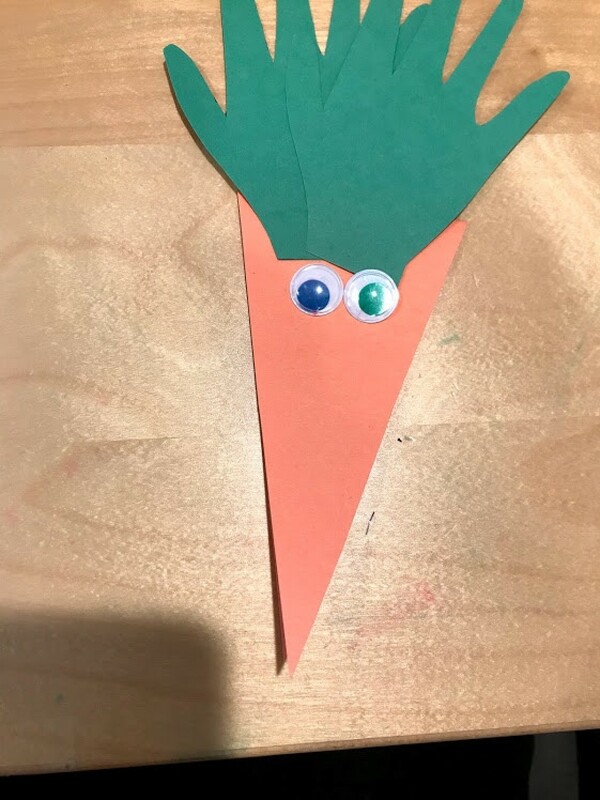 This is a guide about making a happy Easter carrot card. Easter is around the corner. 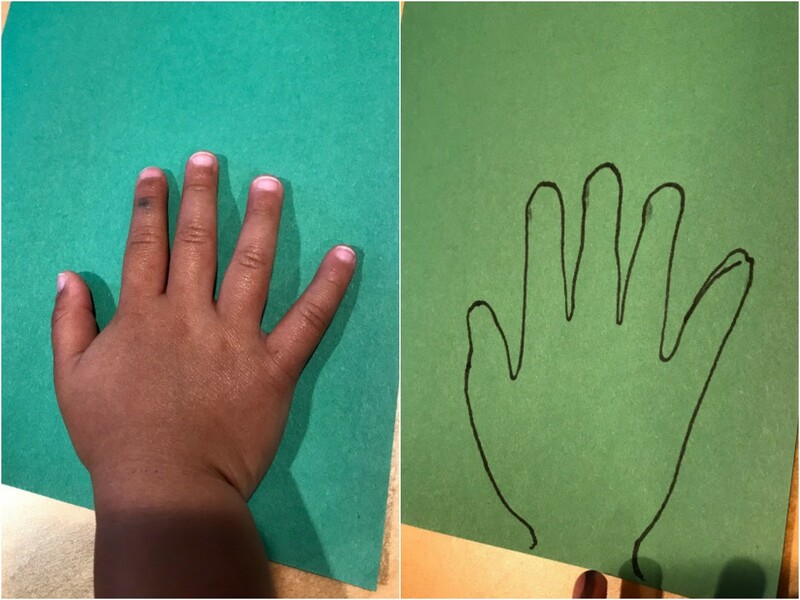 You can make this adorable Easter card with a touch of cuteness (child's hand). 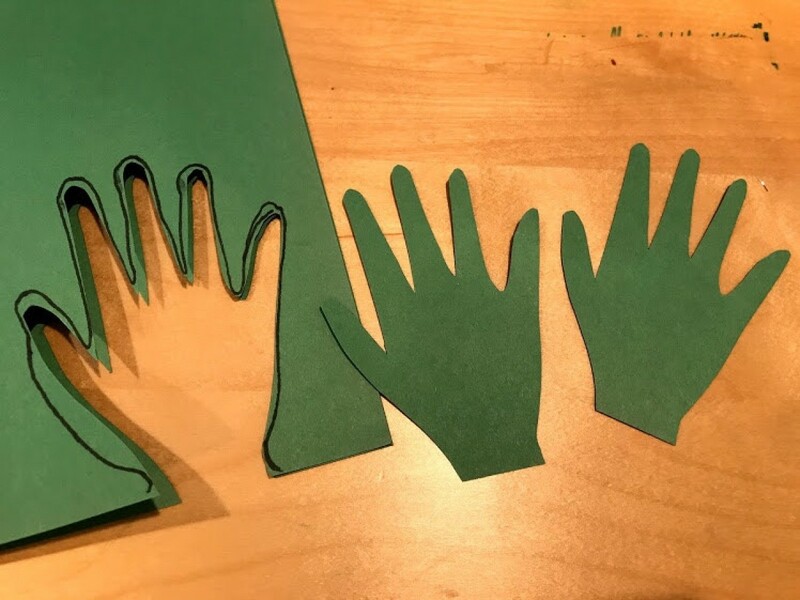 Trace your child's hand onto green construction paper. 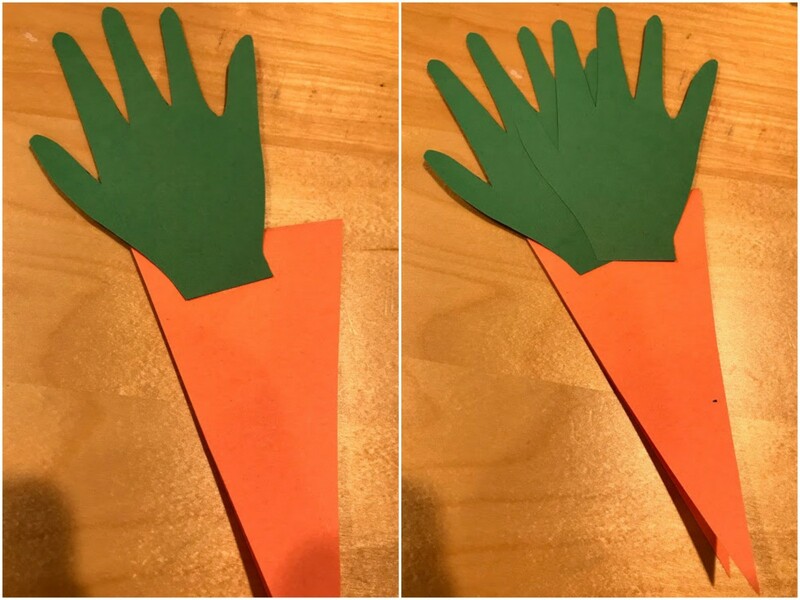 You will need to cut two hands out to resemble the leaves on a carrot. 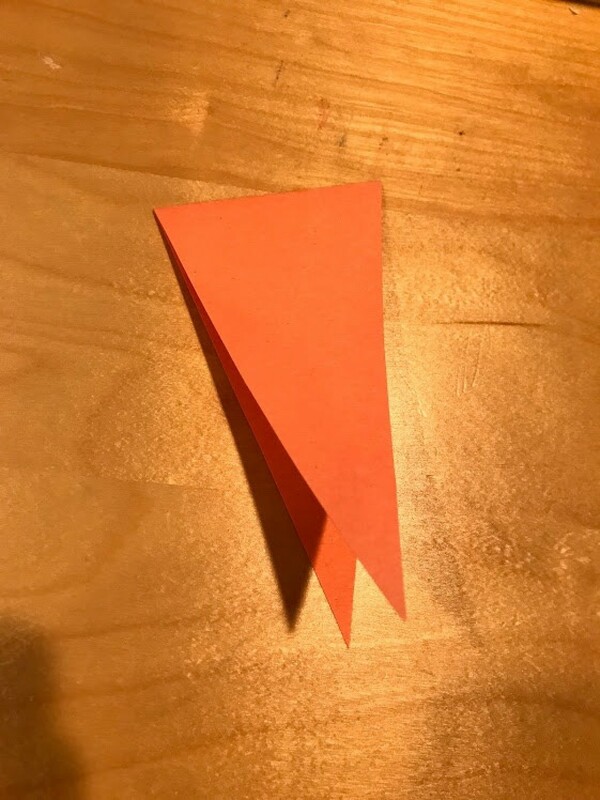 Fold orange construction paper in half and cut a triangle piece to create a carrot card. 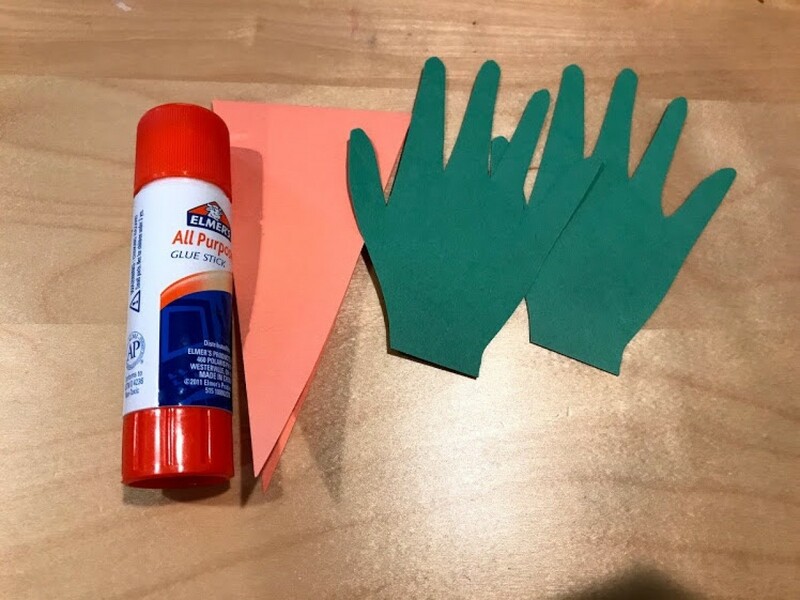 Glue down the hands (leaves) over the top of the triangle flap. Glue on goggly eyes and using a marker fill in lines for carrot and smiley face. 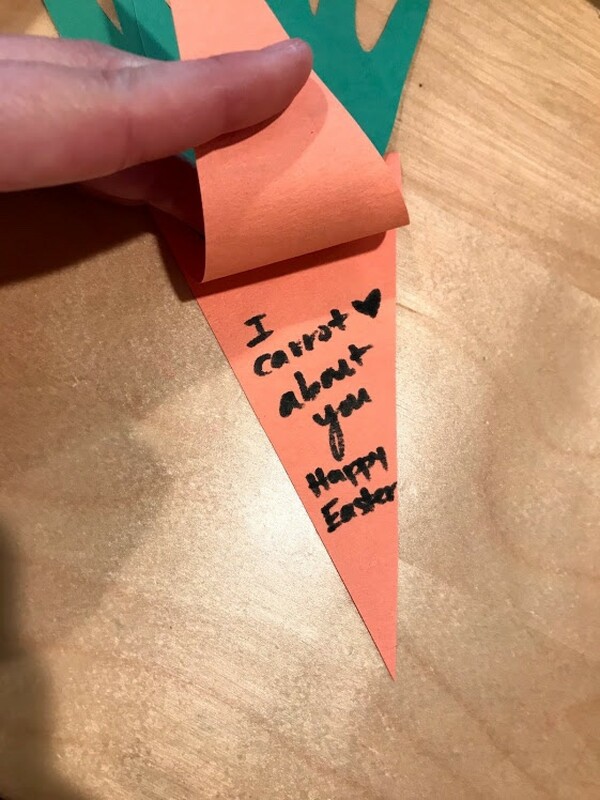 Finish off with your choice of note inside for Easter card.